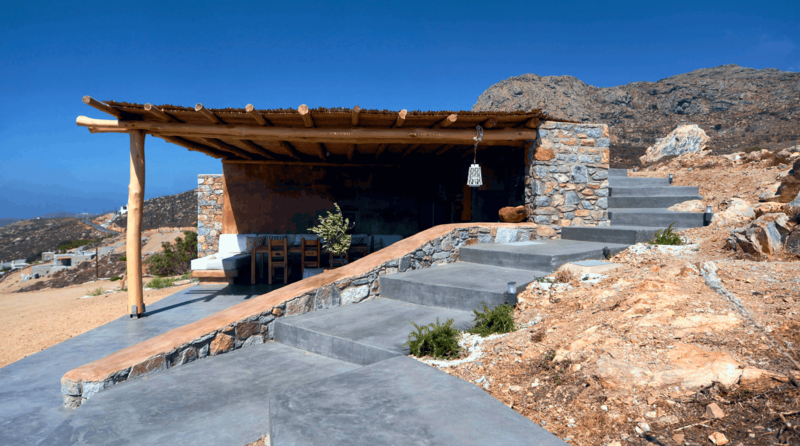 Experience Serifos nature in its purest form and feel the island’s underlying energy this stunning place gives off. Restored cottage consisted of a small open plan space with an extra-comfort built-in high sleeper double bed and a built-in sitting area, constructed in the traditional island way using eco-friendy and natural materials. The bathroom is an independent space built over the natural rock of the land. 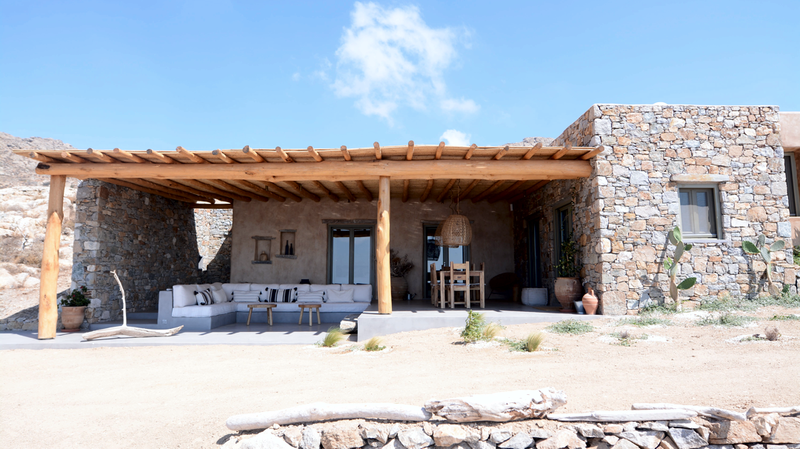 The outdoor spaces comprise a massive wild chestnut wood pergola, open plan gas-burner kitchenette and massive wood dining area furniture, offering a stunning view over the Aegean Sea. 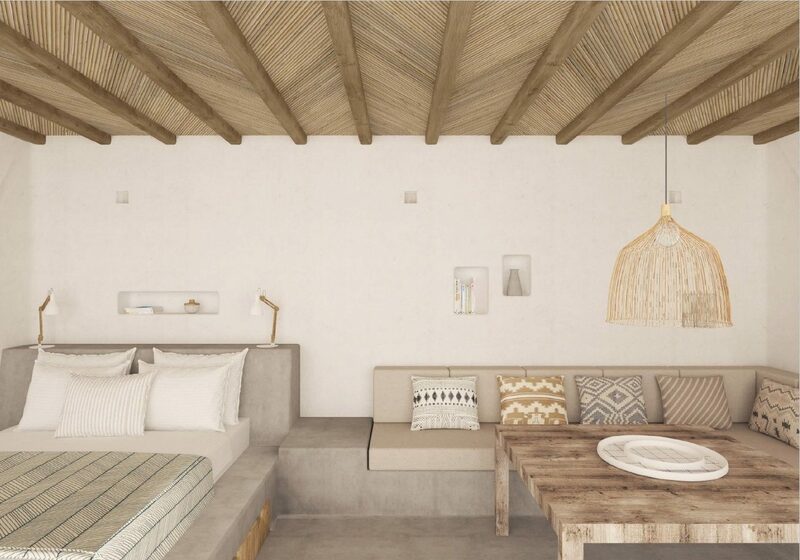 Reconstructed cottage consisted of an open plan space with an extra-comfort built-in double bed and a built-in living room, designed in the traditional island way using eco-friendy and natural materials. Mandri includes a bathroom built over the natural rock of the land and a beautiful kitchen with traditional touch. The wide outdoor spaces comprise a massive-wood dining area furniture and a cozy lounge area, offering a stunning view over the Aegean Sea. Rebuilt cottage consisted of an open plan space with an extra-comfort built-in double bed and a built-in sitting area, constructed in the traditional island way using eco-friendy and natural materials. The ample close plan kitchen features a traditional island look and the bathroom is built over the natural rock of the land. The spacious outdoor area comprises two different zones, a nice dining room equipped with beautiful massive wood furniture and a lounge built-in sofa area. A massive wild chestnut wood pergola provides comforting shade to the outdoor spaces, which offers a stunning view over the Aegean Sea.